Carne Beach and Pendower Beach are often regarded as two seperate beaches but in reality are one large beach separated by a small section of rocky shore. Carne to the east, and Pendower to the west, form a large sandy southerly facing beach located south west of Veryan village in Gerrans Bay on the Roseland Peninsula. Launching is possible from the beaches in low swell and gives good access to Nare Head and Gull Rock. Gerrans Bay is mainly clean sand with reefs and broken ground found around Nare head and Gull Rock. Strong tides can flow between Nare Head and Gull Rock on spring tides, as deep water is pushed up over a shallow ridge. 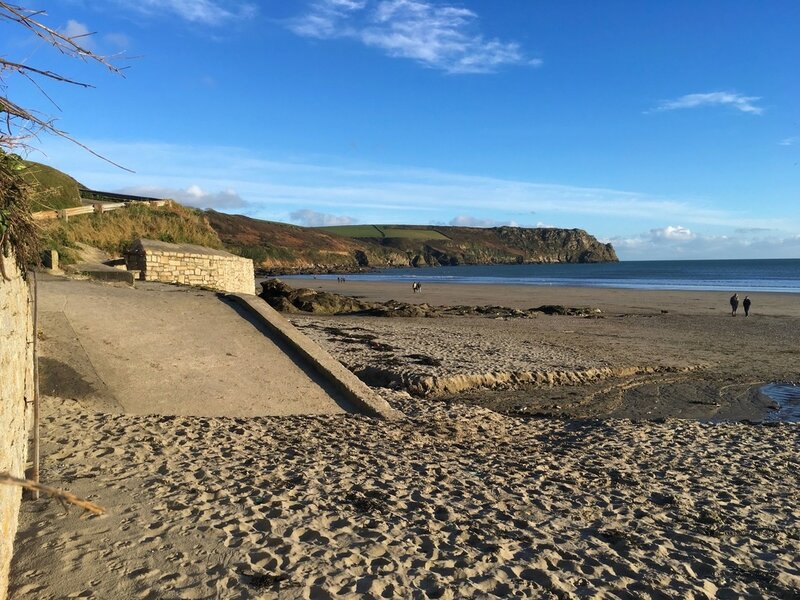 Parking: There is a large National Trust car park located at the top of Carne Beach and access to the beach is via a small slipway. There is limited roadside parking at Pendower and access to the beach requires a walk of approx. 100m down a hill. Launching at low water at both Carne and Pendower requires a long walk down the flat beach to the water. There are toilets at Carne Beach car park open during the summer months. Species: Plaice and Dabs may show to drift fished baits over clean ground, with gurnards possible further out. Pollack, Wrasse and Bass are possible around Nare Head and Gull Rock. Mackerel and Garfish in season.